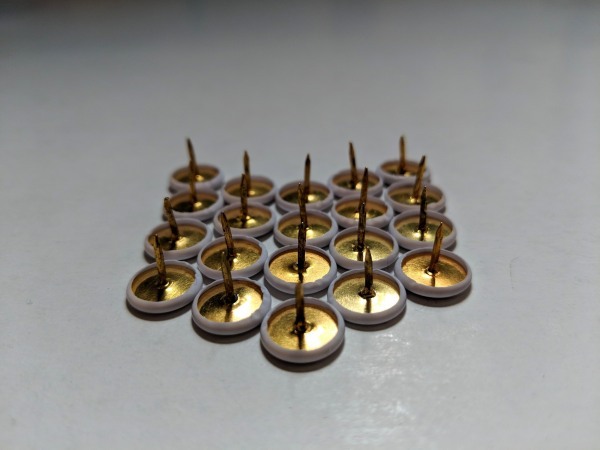 Welcome to the ninth of these Photo a Day Collections! This year seems to be flying past now and we are sliding towards the darker months. It is one thing about this group and the challenge of finding the light in things you suddenly have less to care about what the weather is doing as you get different things to see and photograph. 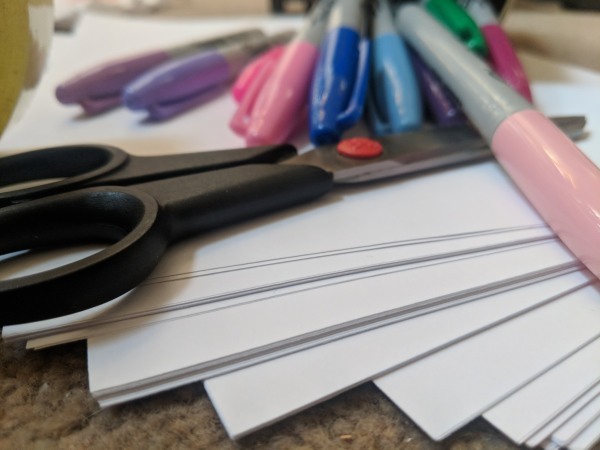 I will say that when I first saw the list of prompts this month I was a bit perturbed by them. Hopefully I have managed to submit something for all of them. 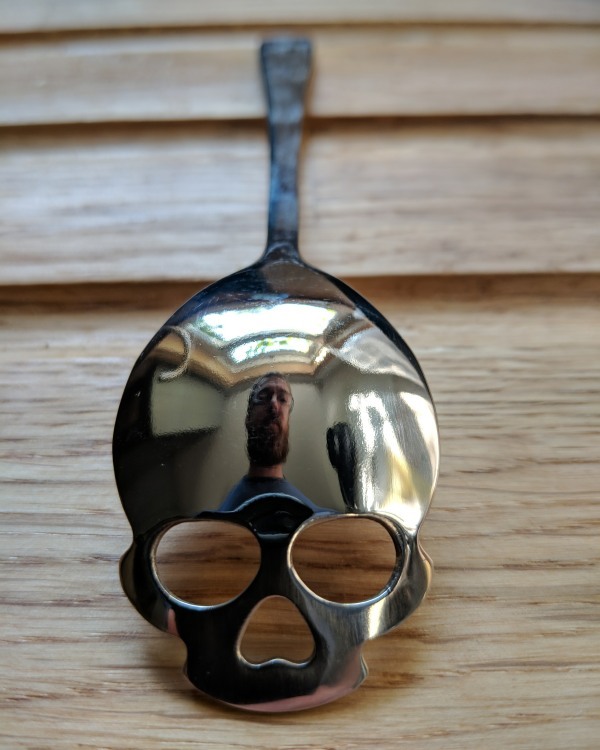 One of my spoons shaped as a skull*, with a hidden selfie. *No, not really practical, and never used. I just love them. It was Father’s Day in Australia, so rather than being random it had more meaning. 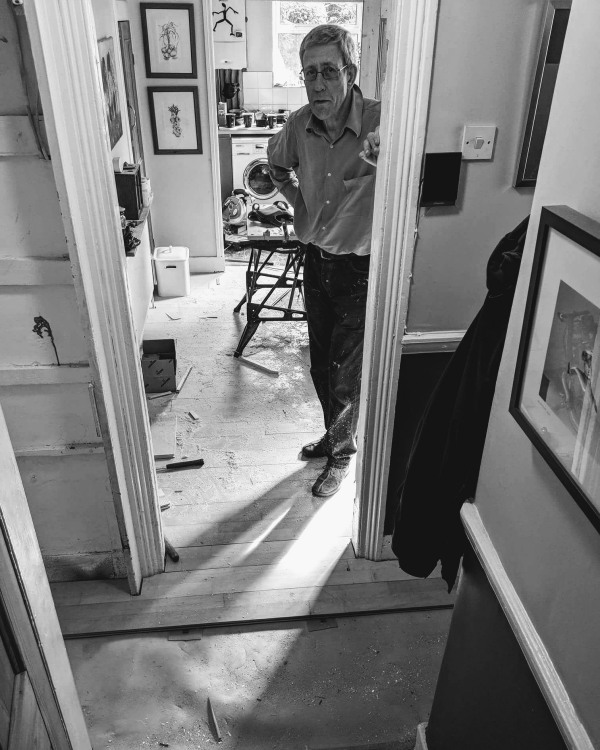 Here’s my Dad in his element: doing DIY. 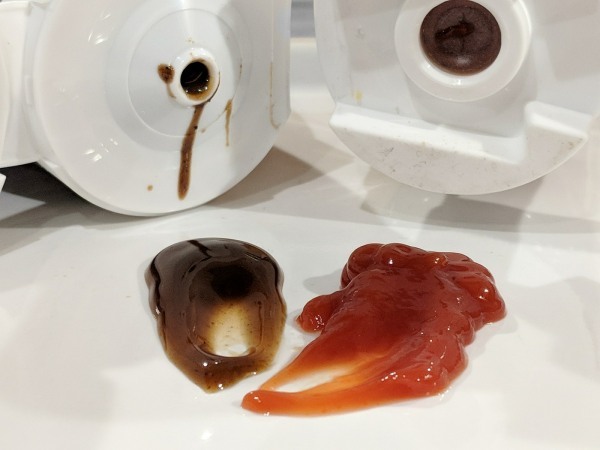 This was helping me with my kitchen flooring earlier this year, where we re-used some solid wood flooring that my hairdresser was getting rid of (random, I know). This was the first stage of re doing the kitchen. 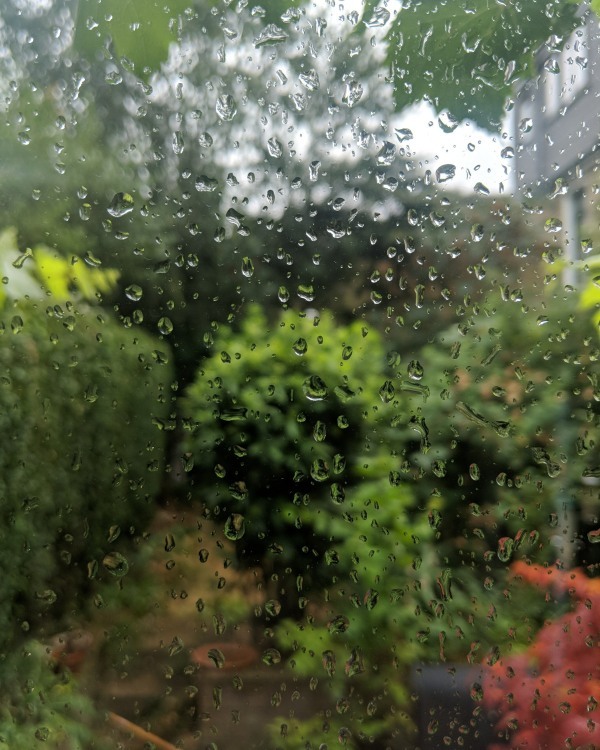 This was taken from the archive as there was no rain on the day this prompt came up. This was taken after the end of the long drought in July, and is my garden from the kitchen window. If brown: HP or Daddies? 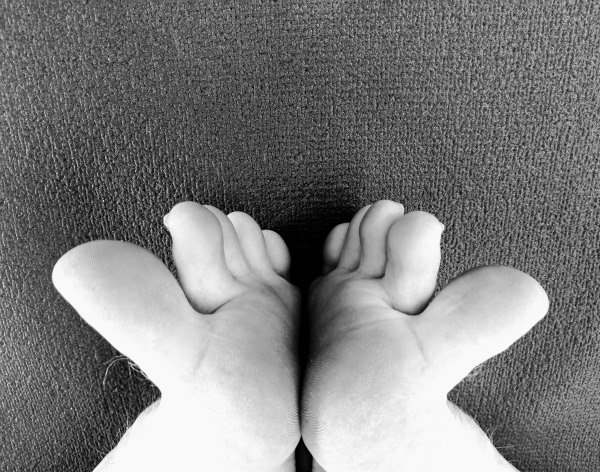 Looking down onto the fan of my toes in Baddha Konasana (Tailor’s or Butterfly pose). To be honest, I don’t normally fan my toes like this in this pose, but it was for a photo. 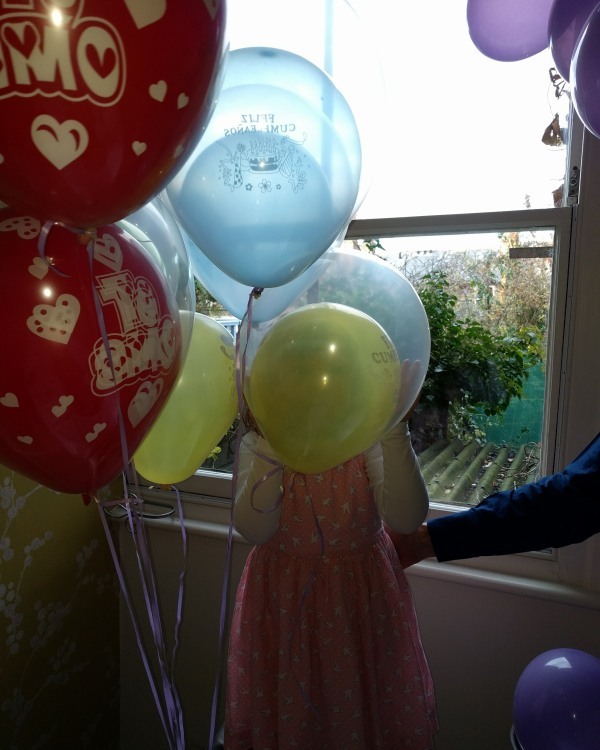 My niece hiding behind her birthday balloons. 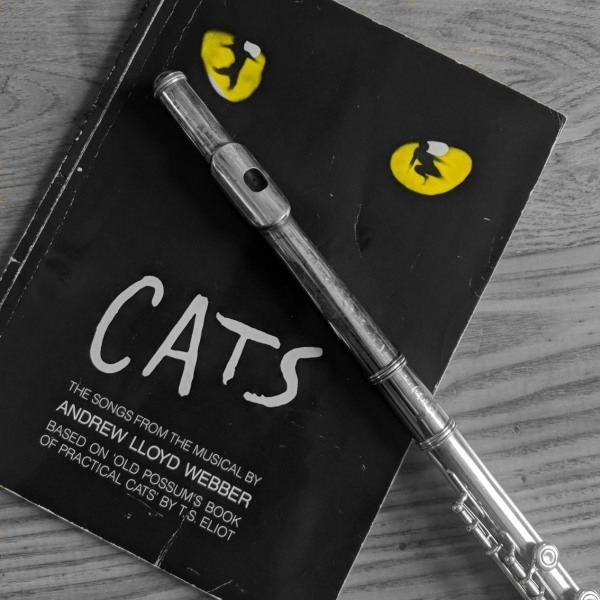 A favourite musical from my childhood. The score along with my flute (not picked up in years). 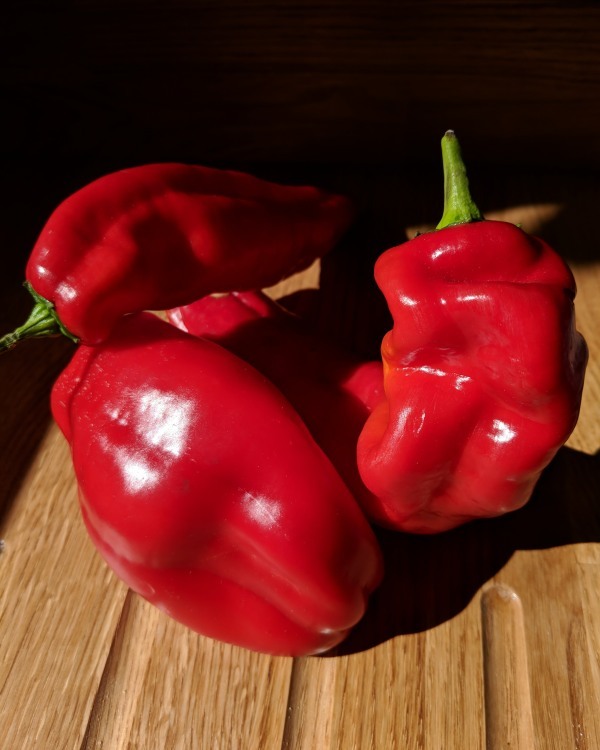 A bowl of long red (bell) peppers that we’d just bought on the market, looking lovely in the sunshine. 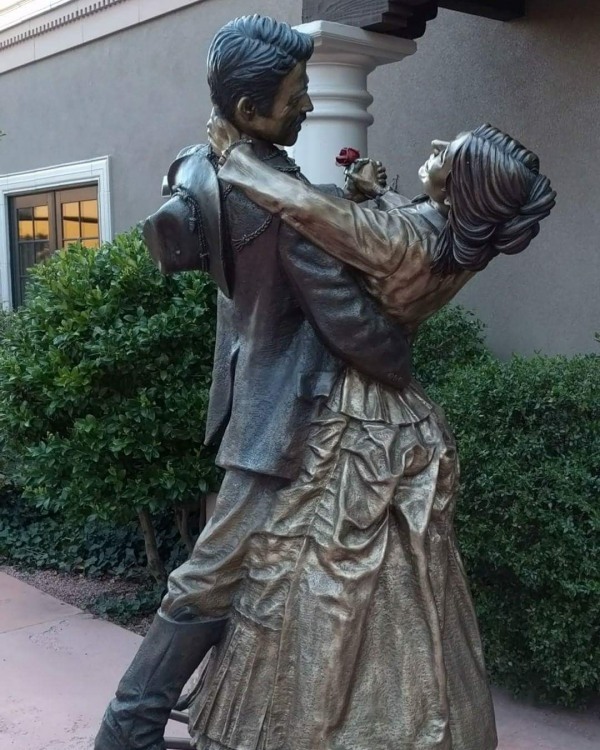 A statue of a dancing couple found at the Sedona City Hall, they’re mounted on a wheel so they can spin. Not my favourite statue, but fitted this prompt. 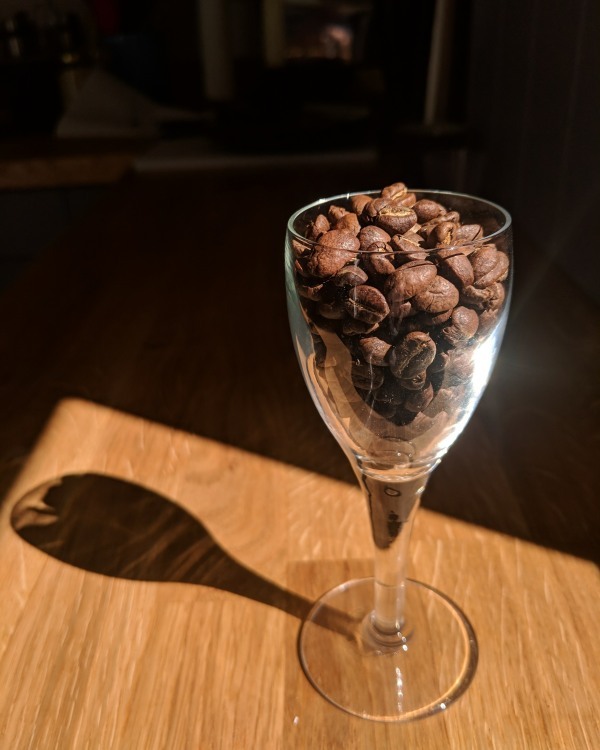 A coffee this strong would deliver quite a kick. I was a bit stumped for this prompt, until my SO suggested this. Plant power! 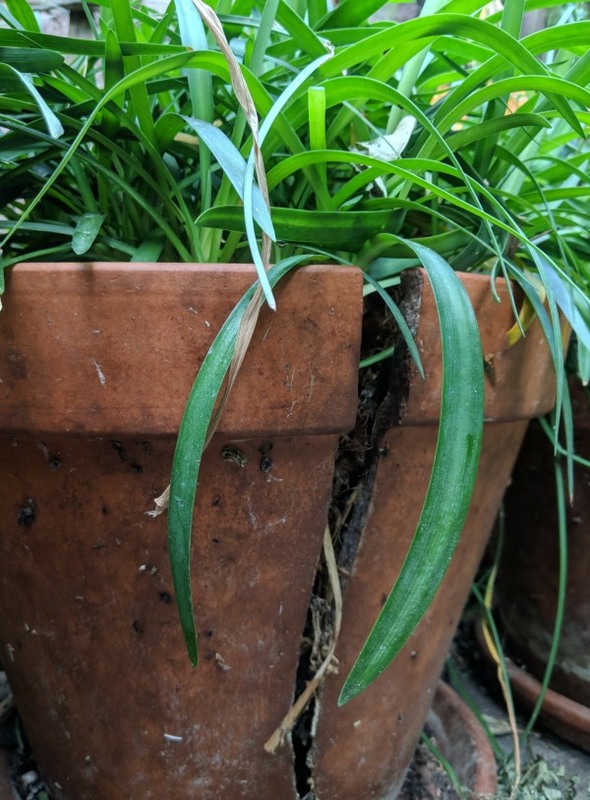 These agapanthus plants are trying to escape the confines of this pot. I think it’s time to re-pot them. My crystal pendulum swinging away. 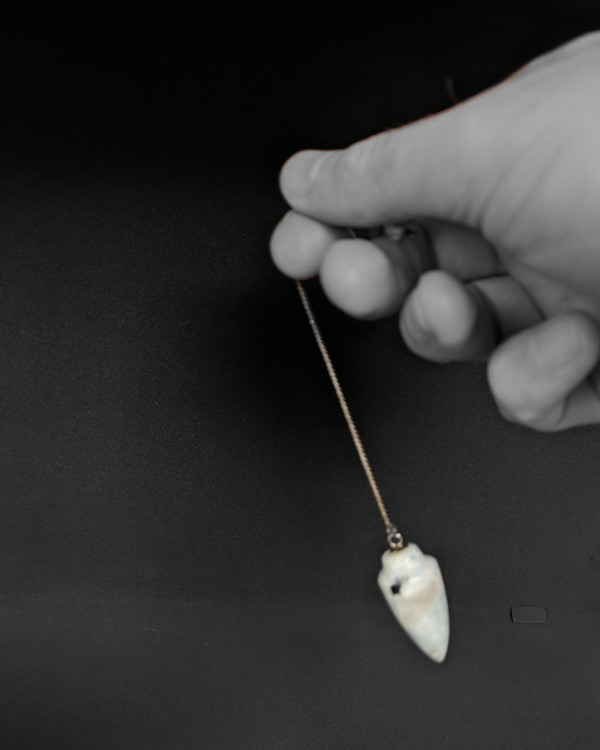 Yes, I have a pendulum for dowsing! I use it mostly to help make some decisions: it swings in one way for a “Yes”, and differently for a “No”. Not that I live my life by it, but if something comes up no or yes and i don’t like the answer then I can do my own thing. 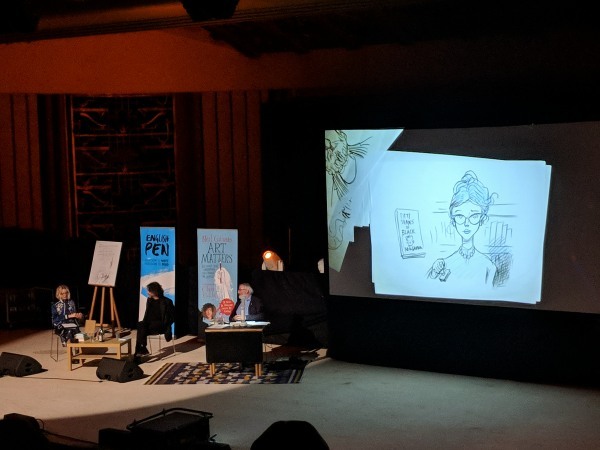 I had the great fortune to be a member of the audience at an evening with Neil Gaiman and Chris Riddell. These are two very clever men, one who uses words to inspire, challenge, and make you think. The other draws clever drawings and also uses wonderful words, but mostly sits and draws. Watching Chris Riddell draw was absolutely mesmerising and I almost forgot to pay attention to what Neil Gaiman was saying. And he drew all evening, barely pausing to get a new piece of paper, or to answer a question. They were launching their new collaboration called “Art matters” and it was streamed live and it’s available here. 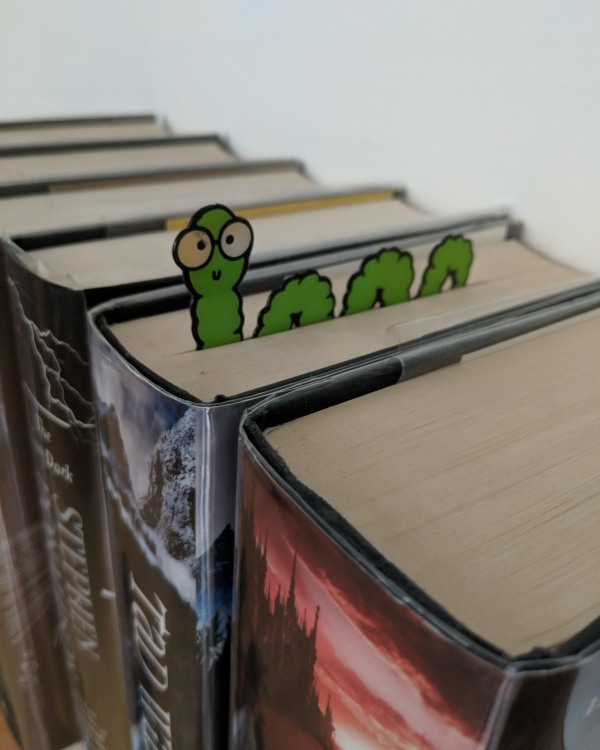 A bookworm shaped bookmark seemed quite appropriate for this prompt today. As I didn’t really fancy trying to take a nice photo of my lunch or scratching around in the garden to find a real life grub. 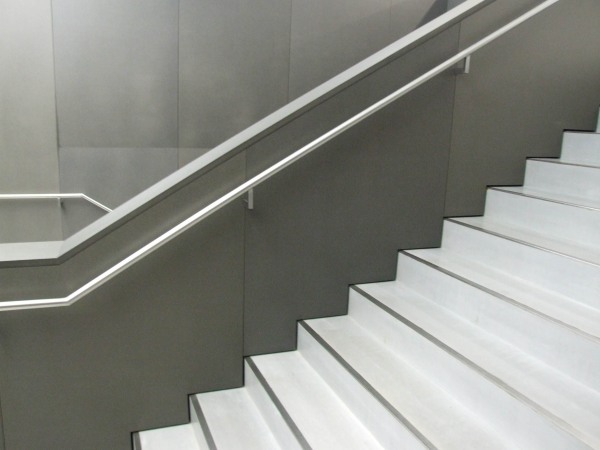 A set of monochromatic steps at The Hepworth Wakefield. I was chosen as one of the Notable Nine photos, for which I was really chuffed. Swish?!? SWISH???!!! 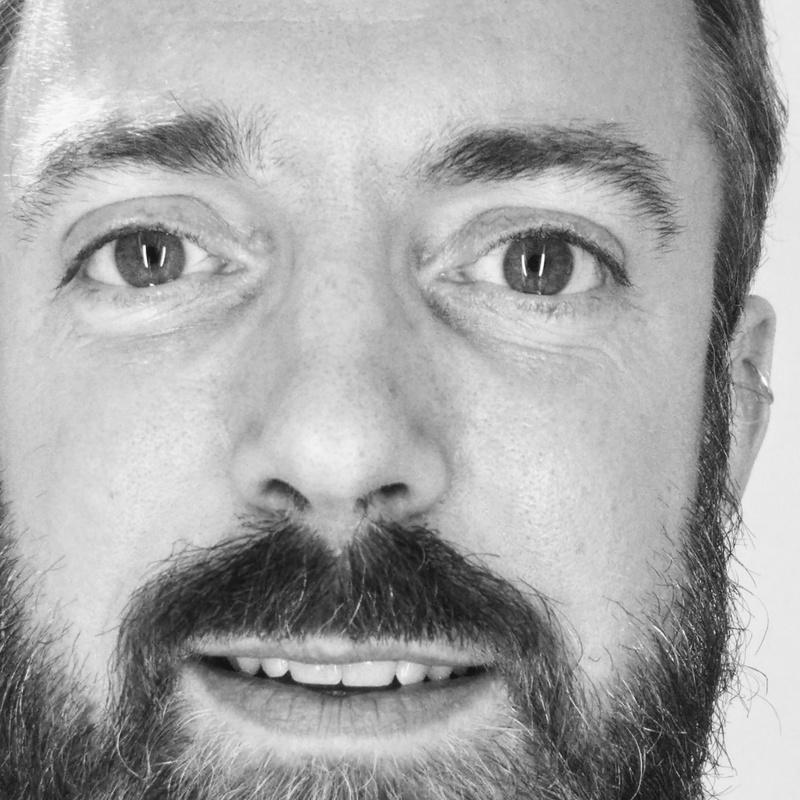 A photo for swish?! 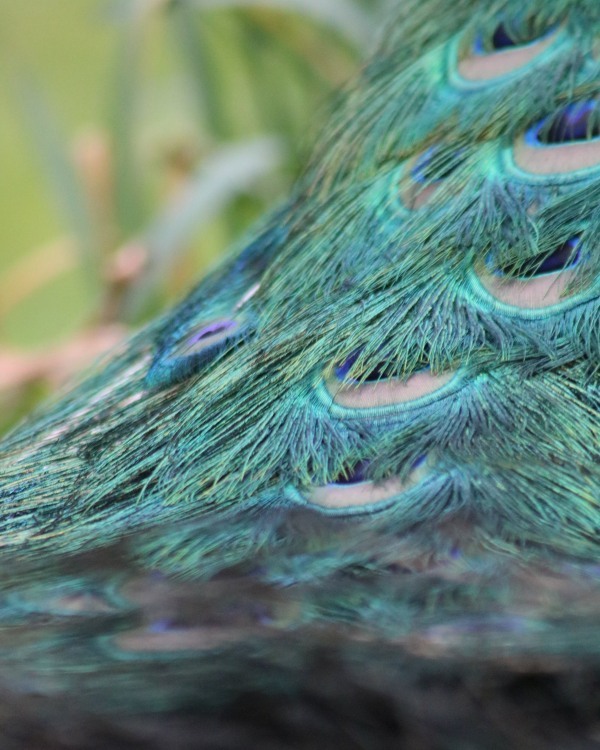 Fortunately, earlier this year a Peacock had swished his tail past me and I got this lovely photo. I used to wear suits all of the time (back when I worked for Next), but now I no longer do. 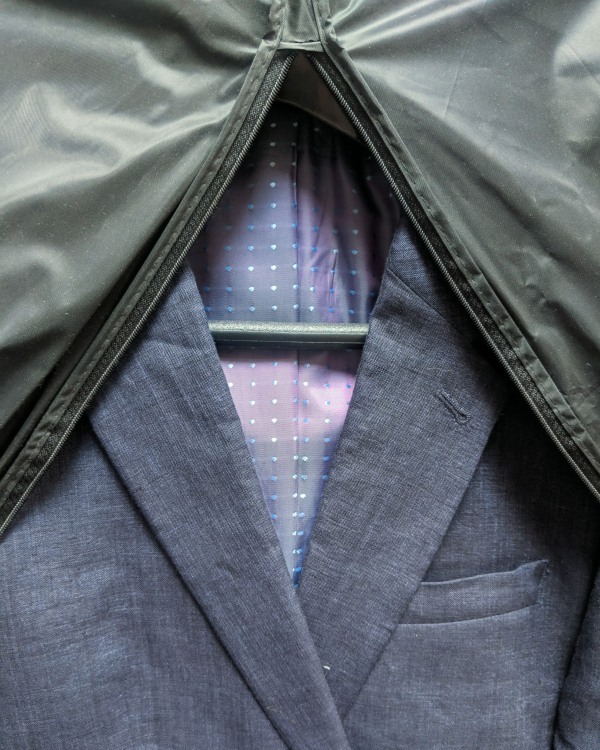 Now I have two suits, both spend their time in a dust jacket to keep them clean. This is the linen suit I tend to wear for weddings. 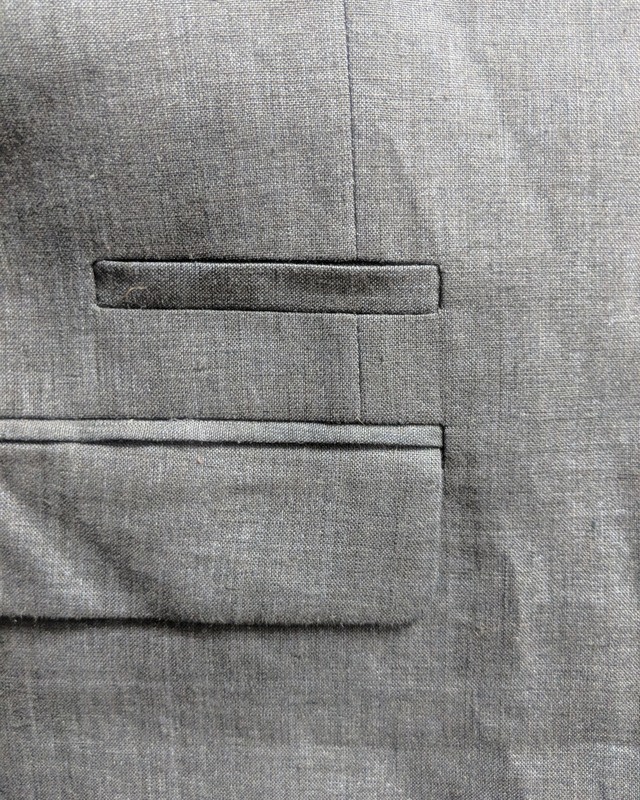 The pocket of the suit from a couple of days ago. A very handsome chap imortalised in stone, seen at the Vatican Museum. 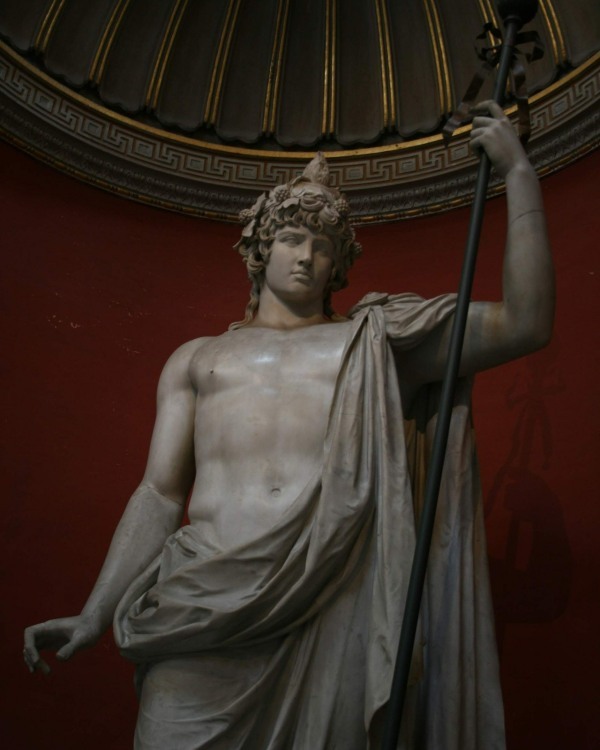 This is a depiction of Antinous, who was Emperor Hadrian’s lover. When Antinous died tragically young, Hadrian was devastated and set up a cult to worship him. 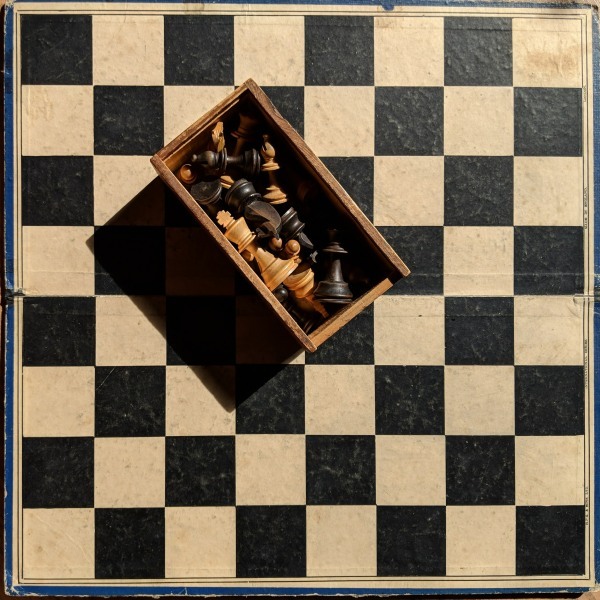 The classic set of pieces for a game of chess. I went to a reunion of my friends from the Yoga teacher training, and this was the dog of Joanna who hosted us. 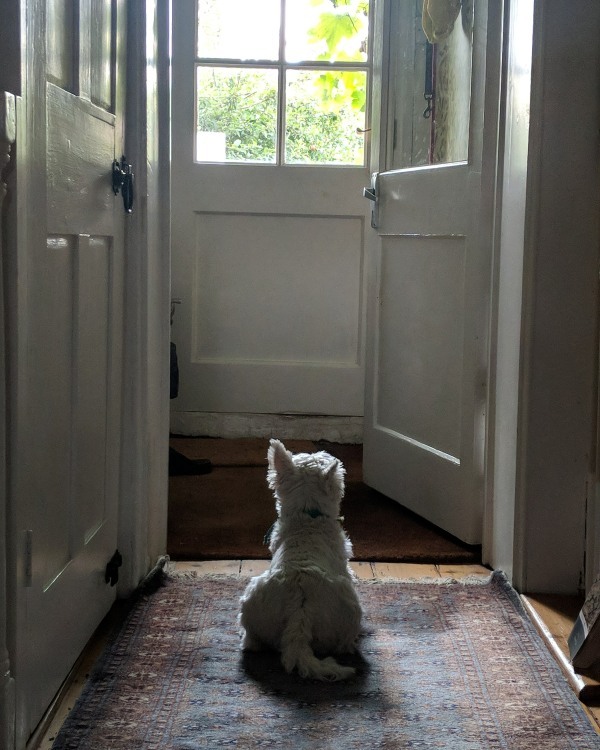 I think Pip was waiting to be let out. This is a piece called Jersey Girl. 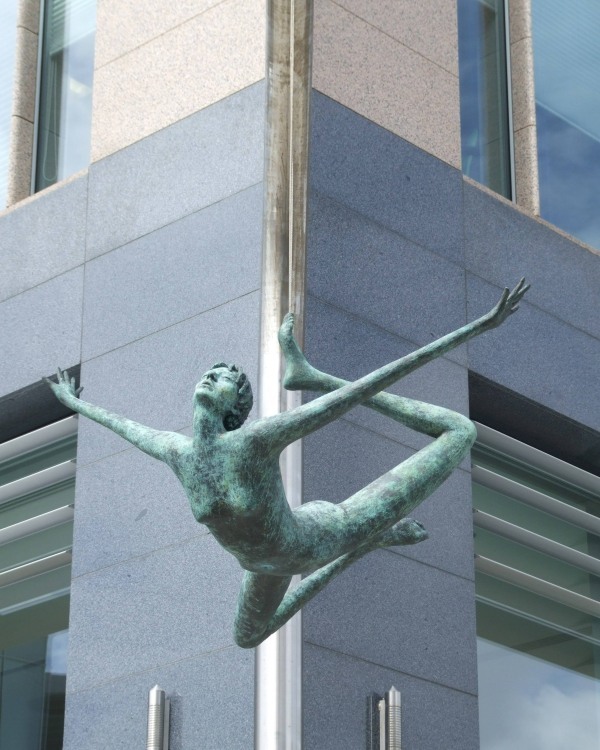 She hangs from a thread from her back foot, from the side of a building in St Helier. It seems to divide people with some seeing freedom and joy in the piece. Others, including myself, find it disturbing. I think that first saw it when I turned a corner and seemingly saw someone jumping off the roof of the building. That has put me off it, but I still took a photo of it. 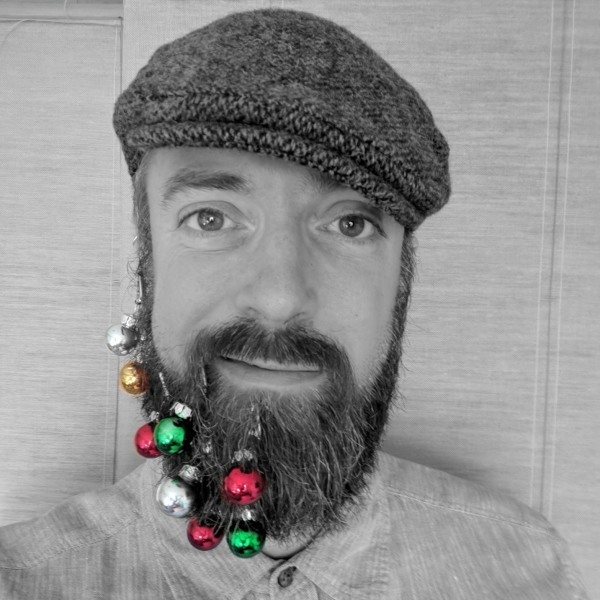 So I played at being a Seasonally Challenged Hipster. I was really a bit stumped (again) about this one, as I really don’t want to stalk people to take photos, and I’m often the one helping out (not sure I could stop to take a selfie in the midst). 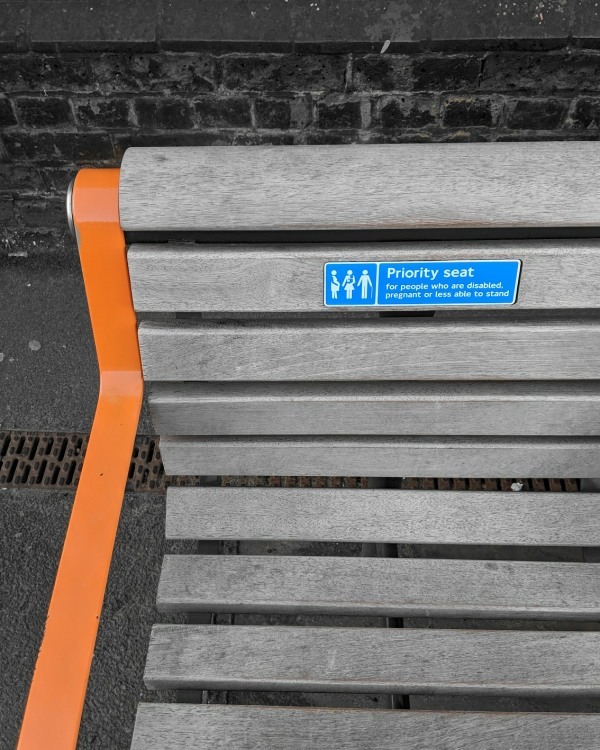 Any way I spotted this on my way in to work, and got a few weird looks from my fellow commuters. 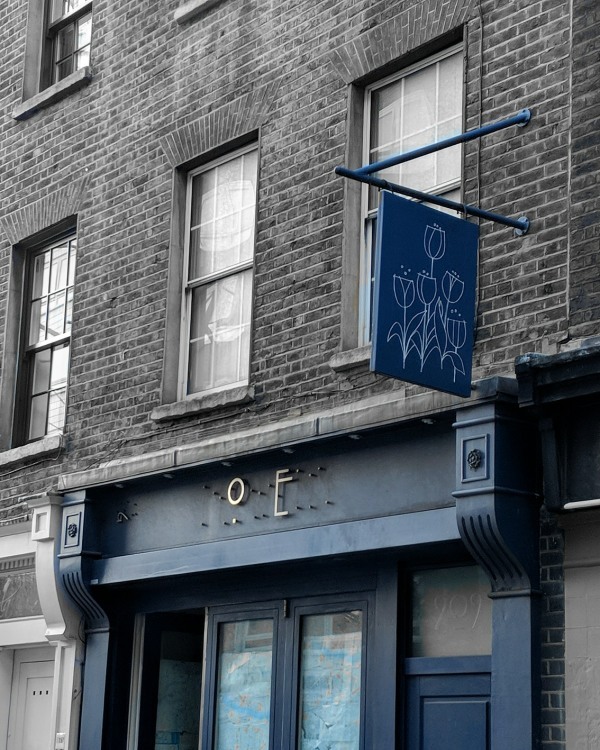 I wanted to do something different, as I post so many pictures of flowers, and love this sign of an unused shop on Whitecross Street, the shop was called Flowers, but only the ‘O’ and the ‘E’ remain. I was in a bit of a mood on this day, and really didn’t have much time to take a photo. Suddenly came up with this idea and many of my fellow PaDsters found it very entertaining. 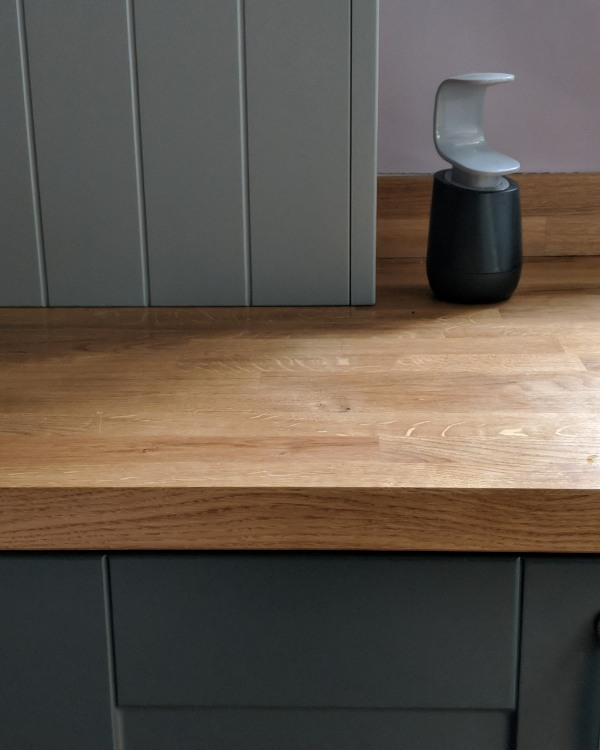 This is my new kitchen, with grey cupboads, and a wooden work surface. I’m really pleased with how it’s turning out. 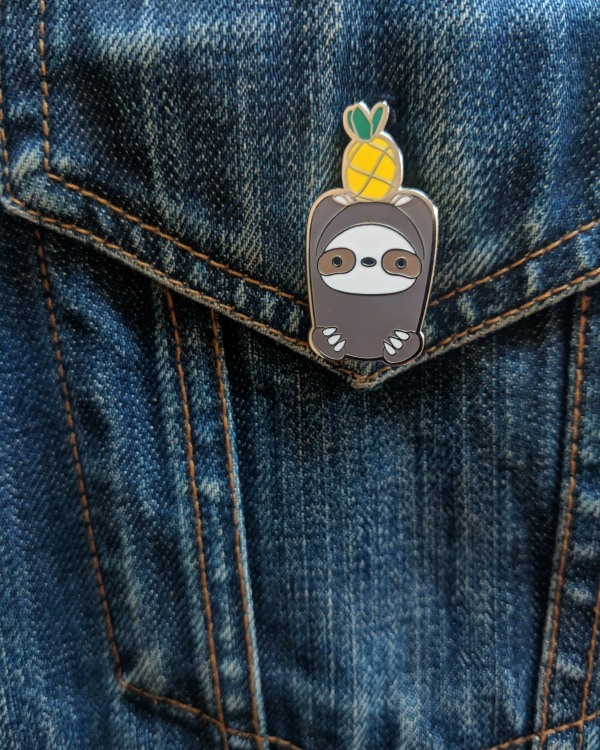 I have no idea why this sloth has a pineapple on its head, but it’s cute and a pineapple (and different from many others). If you want to get something similar, it came from Wild Whimsy Woolies. So that’s it for what was a month of really difficult prompts, I hope you enjoyed the photos. I was so delighted to have been chosen for a Fab Four, this month especially as there were some really tricky prompts. 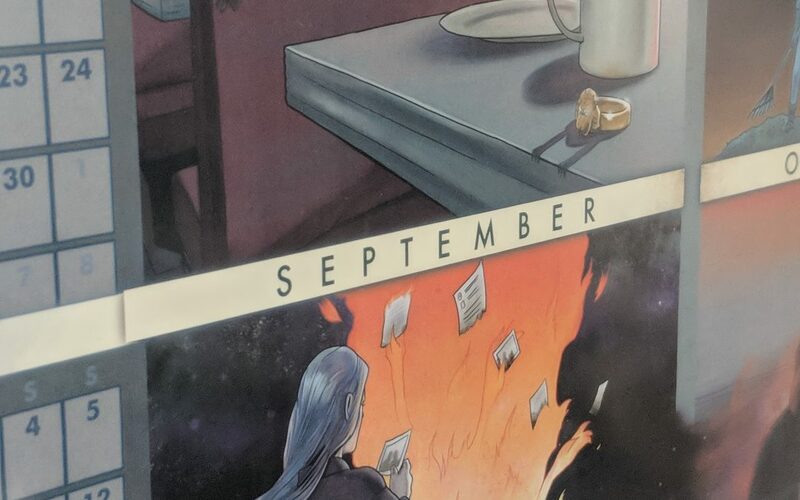 October seems to be an easier month (colours!) 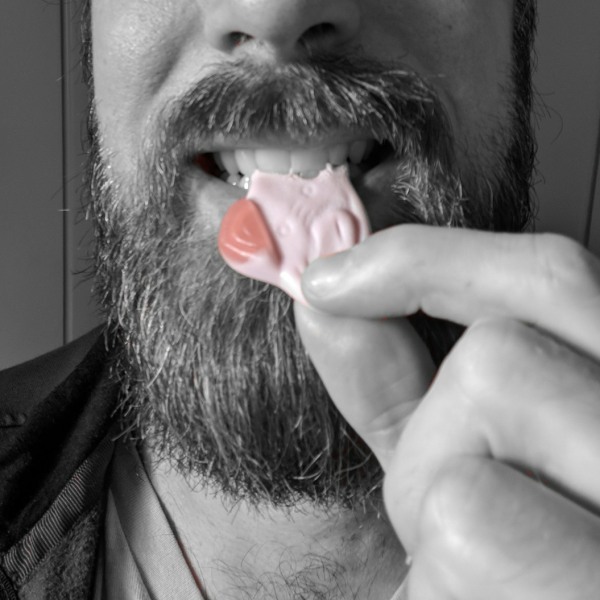 and if you can’t wait to see what I’m posting then follow me my Instagram feed. There will be another summary of my photos next month.